Major overhaul of QiO functionality, appearance and content. Regular changes and updates to reflect the new commissioning landscape post Health and Social Care Act 2016. Information Governance Audit added to Interactive Audit section. New level 2 (Enhanced Services) of England Interactive Checklist launched. New level 3 (Advanced Governance) of England Interactive Checklist launched. New Interactive Audit section added to website, including Infection Control Audit and Record Keeping Audit. New level 1 (Contract Compliance) of England Interactive Checklist launched. Updated link to NPSA reporting page on Action point 8. Link changed by NPSA. Replaced Level 3 question 13(a) "Do staff members have any deeply-held beliefs or convictions which may compromise their ability to deal sympathetically with all patients?" which if you comply produces a red non-compliance highlight with "Are staff members able to deal sympathetically with all patients without allowing any deeply-held beliefs or convictions to affect their judgement?" where compliance produces a yes response. 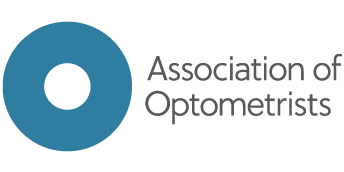 New Quality in Optometry website and Interactive Checklist launched. Added a question and action point in standard C20a relating to compliance with current fire regulations. Added five questions and an action point in standard C16 (level 1) covering new GOC sight test regulations. Updated action point advice relating to contact lens specification forms in standard C16 (level 1). Added a new question in standard C5d (level 4) covering questions about a patient's lifestyle. Changed 'Stop Smoking' references to 'smoking cessation' (to reflect updated government language). Updated the language in a question for standard C5b to include all supervising practitioners and updated the advice in the associated action point. Updated a question in standard C9 to ensure NHS Vouchers and Sight Test forms are being kep securely. Reworded the question in standard C18 that relates to the compliance with the DDA. Updated links to the GOC website in action points 21 and 40. Removed references to fixed premises (to account for domiciliary practices). Updated the question and associated action point in standard C4e that relates to waste disposal to include all approved services. Fixed broken links in action points 6 and 11, and updated the information in action point 42. Original printed version (1.0) of the England toolkit launched, along with an interactive PDF file. Removed a duplicate question about password protection in standard C20b.